KABUL -- Afghan saffron production increased by 20% this year, providing a 33% bump in revenues from the golden flower, local news reported. The announcement was made at the Fifth National Saffron Conference held in Kabul Monday (November 6). "Fortunately, the country's climate is well suited for saffron plantation and production," acting Minister of Agriculture, Irrigation and Livestock Nasir Ahmad Durrani said at the conference, according to Pajhwok Afghan News. Afghan farmers earned $12 million (824 million AFN) from saffron production in 2017 compared to $9 million (618 million AFN) in 2016, he said. Furthermore, the total land cultivated for saffron increased from 2,500 acres to more than 3,000 acres, increasing production by 20% over last year. Last year, 1kg of saffron sold for 100,000 AFN ($1,500), according to reports. Durrani asked the participants of the conference, which included high-level Afghan officials and stakeholders in the saffron industry, to share suggestions on how to further increase saffron cultivation, production and quality and standardise processing. Saffron can play a vital role in Afghanistan's economic development with better quality and standardised packaging, said Alhaj Khan Jan Alokozay, first deputy chairman of the Afghanistan Chamber of Commerce and Industries. The private sector is ready to provide the required support in processing saffron, he said. 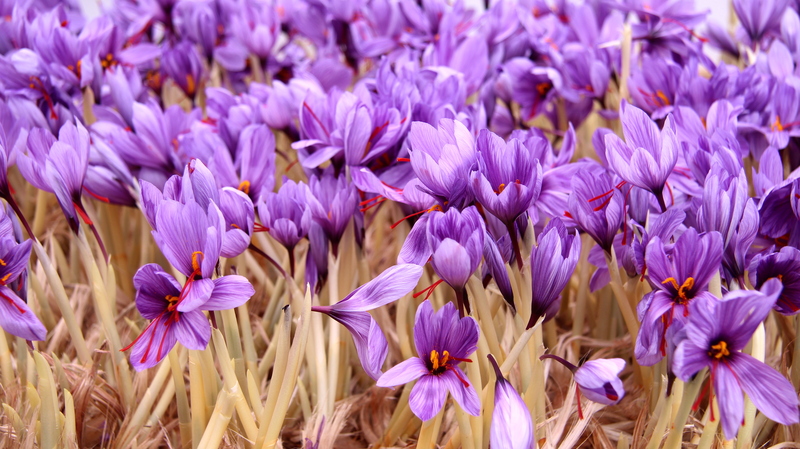 Afghanistan's saffron production is increasing daily, according to Sayed Abdul Wahab, CEO of Faizy Co., a saffron producer and exporter in Herat Province. His company exported 100kg of saffron last year and expects to export half a tonne this year, he said. Saffron often has been viewed as an alternative to opium poppy in Afghanistan, he said, adding that saffron provides work to women with often limited job opportunities. Gul Andam Omidwar, a female farmer from Parwan Province who attended the conference, said she has planted one jerib (almost half an acre) of land with saffron this year. 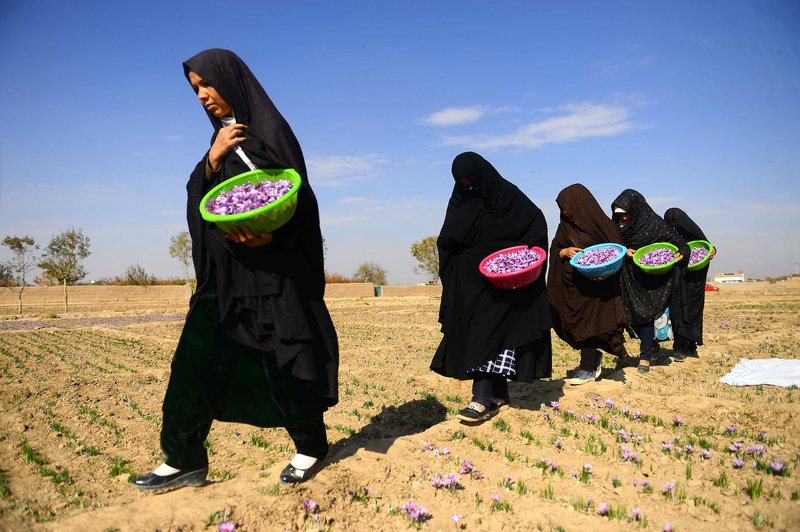 "I have cultivated saffron where a number of women work with me," she said, according to TOLO News. 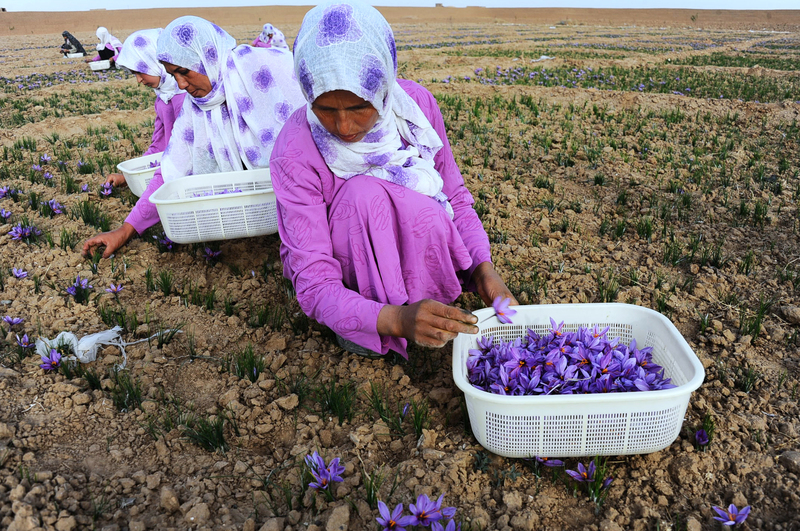 Afghan saffron is becoming more popular and profitable, proving to be a strong rival for the same crop grown on the other side of the border in Iran.